Mushrooms provide selenium, ergothioneine (a powerful antioxidant), potassium, riboflavin, niacin, pantothenic acid, copper, vitamin D, and beta glucans, which are immune-stimulating compounds. Mushrooms are delicious and filling, but very low in calories. Mushrooms are one of my favorite snacks. They’re delicious and filling, but very low in calories. I usually buy portobellos and quickly saute them in coconut or olive oil. But aside from being tasty and guilt-free, are mushrooms good for you? When I started to look into the research on these fabulous fungi, I was pleasantly surprised to learn of the many mushroom health benefits scientists have uncovered. 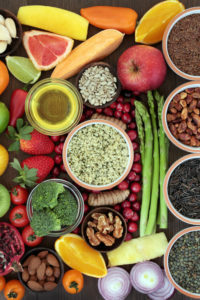 To start, mushrooms provide selenium, ergothioneine (a powerful antioxidant), potassium, riboflavin, niacin, pantothenic acid, copper, vitamin D, and beta glucans, which are immune-stimulating compounds. They also show some specific health benefits. One of the things I like about mushrooms is their hearty texture and low calorie content. Portobellos are often described as meaty and can be a satisfying replacement for animal protein. In one study, replacing red meat with white button mushrooms enhanced weight loss. Another study found that eating mushrooms is associated with increased intake of certain nutrients and better diet quality overall. The most common mushrooms that you’ll find fresh at the grocery store are white button and portobello, but there are many other varieties with proven health benefits. Cordyceps mushrooms may promote cellular health, have antidepressant activity, and may improve athletic performance. Enoki mushrooms boost immunity and are often used in Asian cuisines. Maitake mushrooms may help control high blood pressure and blood sugar levels. Polyporus mushrooms can help maintain lung and respiratory health. Shiitake mushrooms contain eritadimine, an amino acid that helps convert LDL (bad) cholesterol into HDL (good) cholesterol. [10,11] They possess antibacterial and antiviral [10,11] properties and reduce platelet aggregation. Lion’s mane may improve mild cognitive impairment, according to a 2009 Japanese study. Chaga contains a higher concentration of antioxidants than any other food and is an extremely good vegetarian source of amino acids. Read a detailed discussion in Chaga Benefits That Are Not Found in Any Other Herb. Reishi are used in China and Japan to improve sleep. They have antibacterial, antiviral and antifungal properties, reduce allergies and protect the liver. Reishi are very bitter and not used in food, but are available as a supplement. Grocery stores carry more varieties of mushrooms than ever before and gourmet specialty stores expand the selection even more. Many supplement manufacturers offer mushrooms in powders, teas, liquids, and capsules, too. Some mushrooms, like reishi, don’t have a culinary use so they’re only available in supplement form. Unless you are an experienced forager, don’t eat wild mushrooms. There are many lookalikes that are quite toxic. Try adding different varieties of mushrooms to soups or other dishes. If you like the flavor, try a simple saute in olive or coconut oil. (I use coconut oil for myself, but olive oil if my husband is eating them, as coconut oil upsets his stomach.) If you’re not a fan of the flavor, look for supplements to get the same benefits. 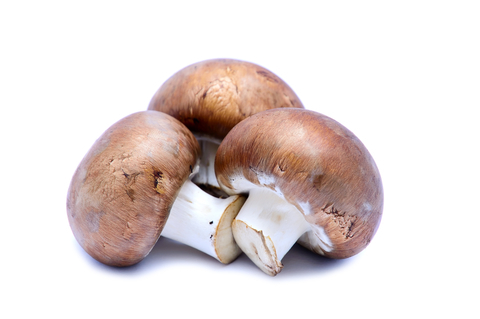 Have you used mushrooms to treat a health condition? Do you have a favorite way to prepare them? Share your ideas and recipes in the comments section below. Journal of the American College of Nutrition, 2015 Apr 11:1-10. Press Release. Boston University Medical Center. Mushroom Health Benefits. Swanson Vitamins. Dr. Weil.com. Are Mushrooms Good for Your Health? allergies, amino acids, antidepressant, antifungal, antioxidant, antioxidants, are mushrooms good for you, bad cholesterol, blood pressure, blood sugar, blood sugar levels, calories, chaga benefits, cholesterol, coconut oil, cognitive impairment, control high blood pressure, diet, food, good cholesterol, hdl, health, high blood pressure, high blood pressure and, immunity, improve sleep, inflammation, ldl, mild cognitive, mild cognitive impairment, niacin, nutrients, nutrition, potassium, protein, selenium, sleep, sugar, sugar levels, supplement, supplements, tired, tired all the time, vegetarian, vitamin, vitamin d, vitamin d deficiency, vitamin d deficiency symptoms, vitamin d3, vitamins, weight management, why am i tired all the time. I have been told by my naturopath that modern commercially grown mushrooms are no longer a reliable source for selenium because of the chane in growing medium over recent years. If this is correct, then the issue may also compromise mushrooms as a source of other minerals. I still eat mushrooms but have moved my source for selenium to sardines, just in case.